EXTRA - EXTRA! 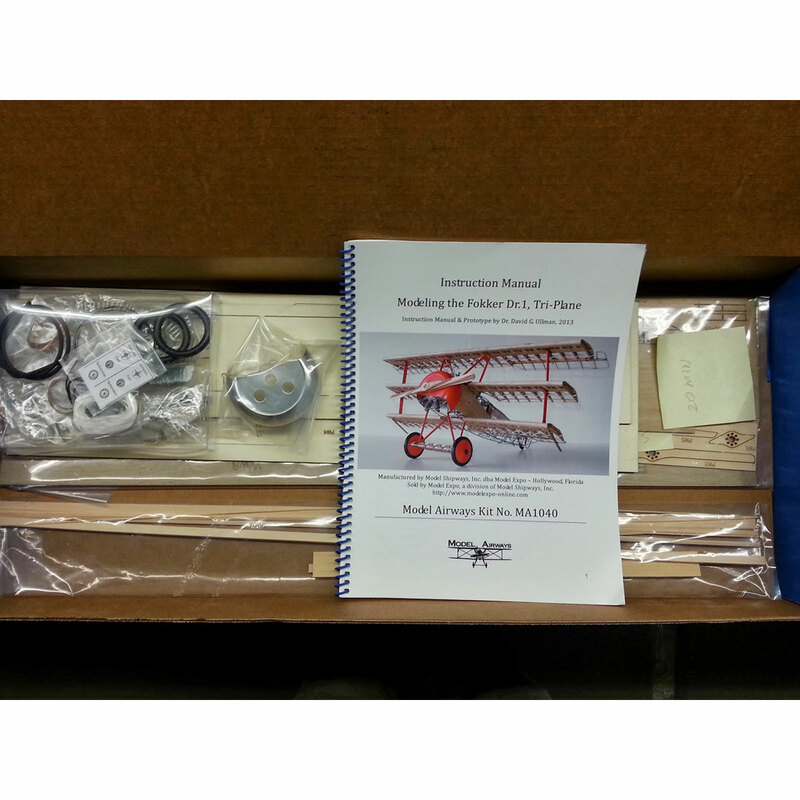 .... Brian Colton of Australia has honored us with an extensive Builders' Log for the MA1040 Fokker DR.1 You will want to see it! 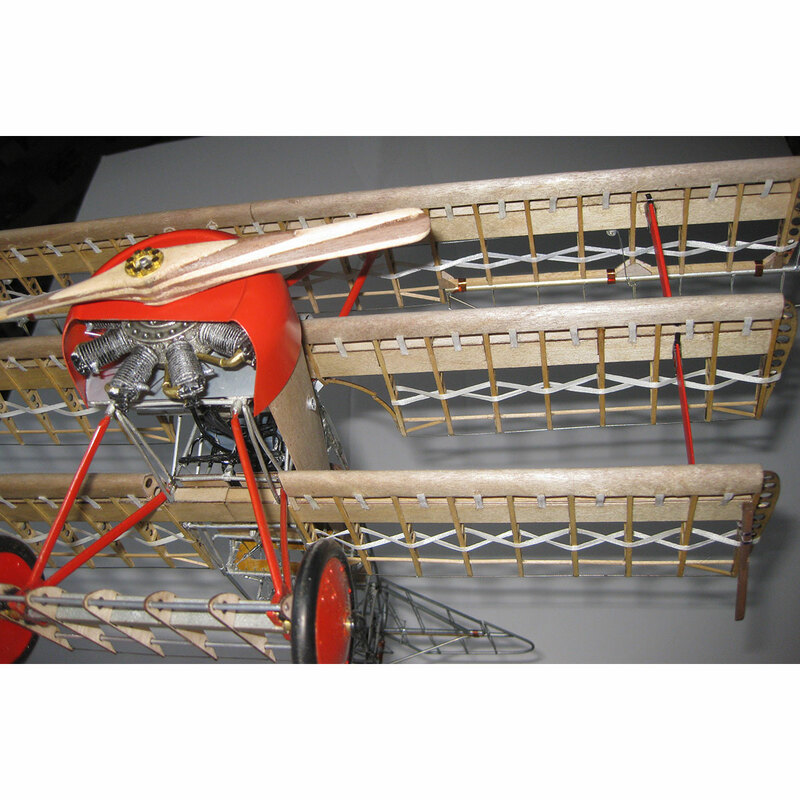 This historically accurate airplane reproduces virtually every detail of original Fokker Dr. 1. 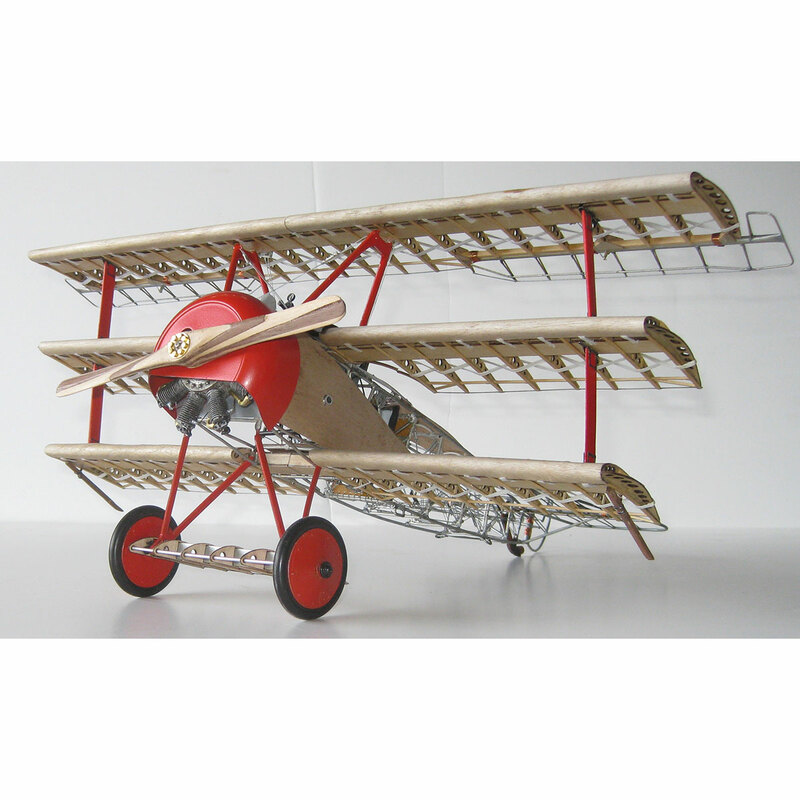 We ve translated this famous WWI fighter into a 1:16 scale kit that that builds into a realistic replica. We use laser cut basswood and birch plywood, accurate Britannia metal castings, brass, copper, aluminum, steel and rubber. 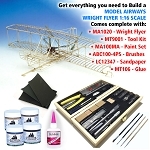 The most interesting feature of the Model Airways Fokker Dr.1 kit is its open airframe. 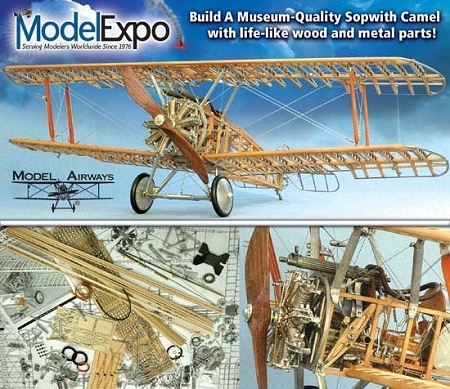 Normally hidden under layers of cloth or canvas, we leave the laser-cut wooden ribs and cast metal frames uncovered to show the intricacies of construction. 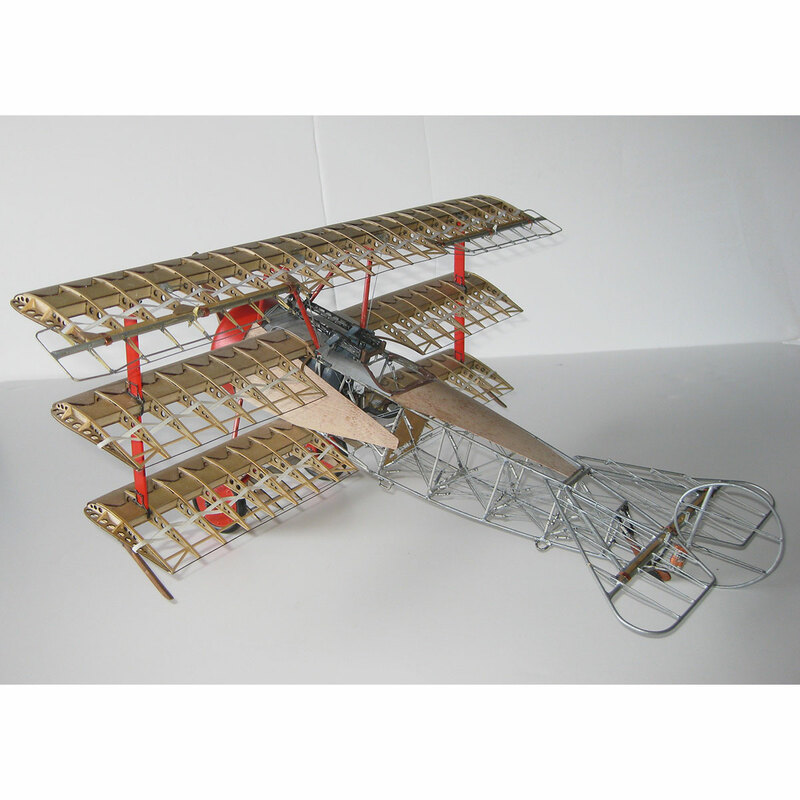 You ll find cast metal fuselage bulkheads, wing ribs and pilot s seat, basswood fuselage stringers and wing rib caps. Cockpit is reproduced in authentic detail, complete with tachometer, gauges and compass. An authentic 9 cylinder Oberursel UP II rotary engine, comprised of over 33 highly detailed Britannia metal parts, is a marvel of miniature design with carburetor, oil pump, spark plugs and valve springs. 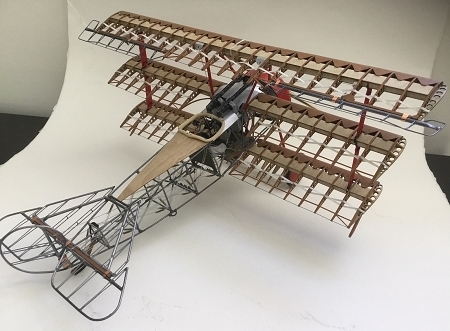 The Fokker Dr.1 from Model Airways is sure to impress any modeler looking for superior detail, unsurpassed authenticity and uncompromising quality of materials. 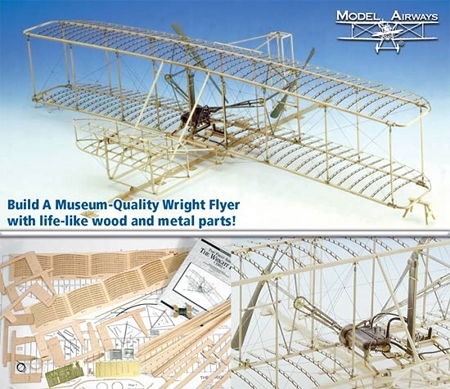 Six sheets of blueprint quality plans and a 54 page illustrated instruction manual pave the way to a museum quality masterpiece. 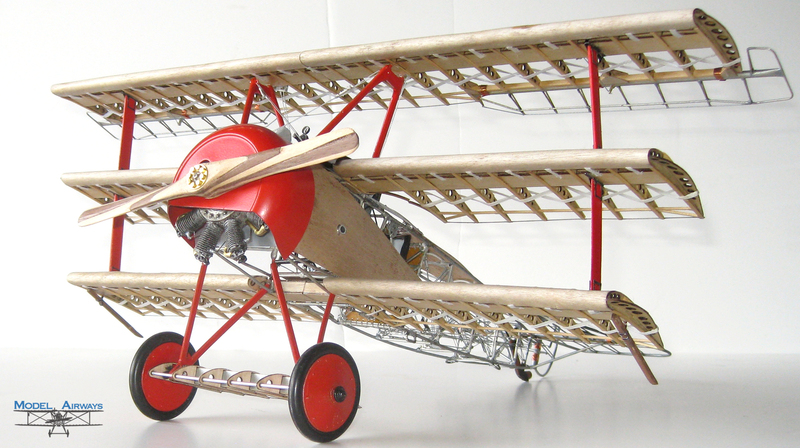 The Fokker Dr.1, Tri-Plane was the favorite plane of Manfred von Richthofen, the Red Baron, who is credited with 80 victories before he was shot down and killed. He flew it from September 1917 until his death in April 1918, accounting for the last 20 of his kills. 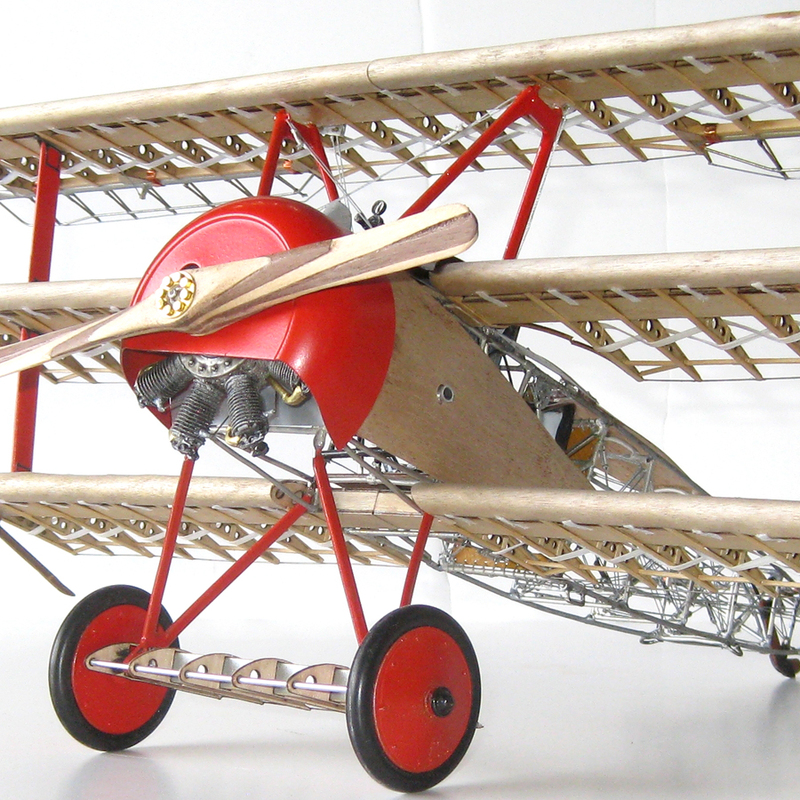 Built by the Dutch airplane designer Anthony Fokker, the Dr.1 was powered by the 9 cylinder rotary Oberursel UR II engine. It could climb to 3000 ft in under 3 minutes and had a ceiling of 19,000 ft. 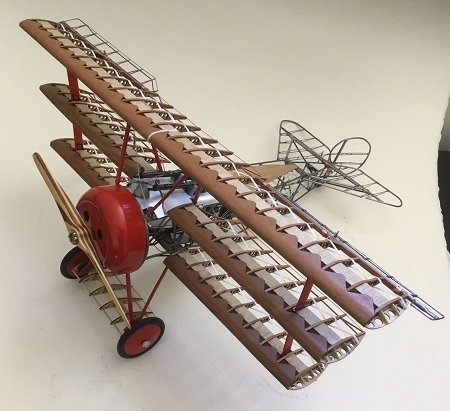 It had a high roll rate and was difficult to fly. Only the best pilots could master it, but deadly in the hands of those who did. 4.5 years of off and on work. More off than on. Got it completed and enjoyed the trip. Metal frame took some working with but got there. If unsure just go for it.